Icelandair (Keflavik) has announced the return of their international service from San Francisco International Airport (SFO) to Iceland and beyond. Seasonal flights will begin on June 1, 2018 with four nonstop flights a week to Iceland on Mondays, Wednesdays, Thursdays and Saturdays, and easy connections to and from more than 25 destinations in Europe. 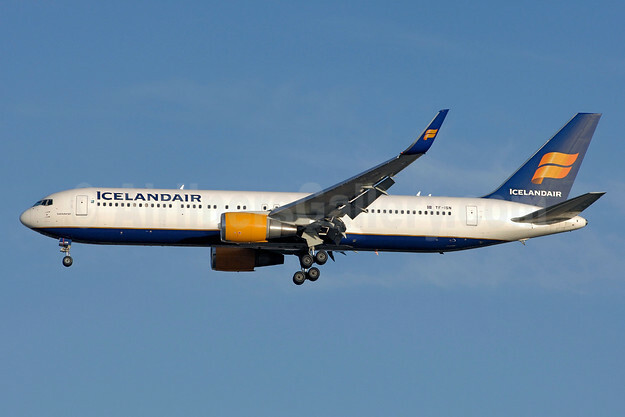 Icelandair operates an exclusively Boeing fleet and service from San Francisco will be operated by one of Icelandair’s Boeing 767-300s, featuring three cabins of service, more legroom, in-flight entertainment, and gate-to-gate Wi-Fi. 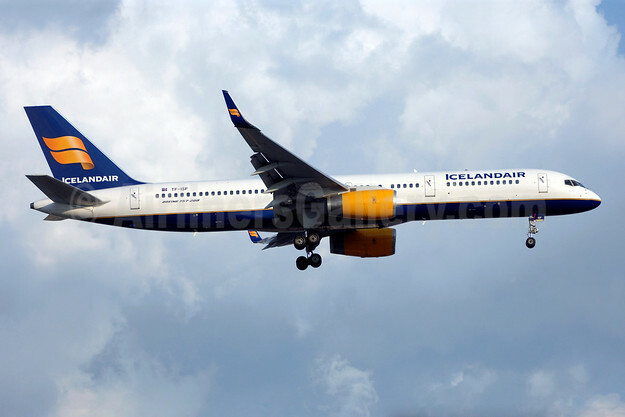 Copyright Photo: Icelandair Boeing 767-319 ER WL TF-ISN (msn 30586) YYZ (TMK Photography). Image: 933210. This entry was posted in Icelandair and tagged Boeing 767-319 ER WL, Icelandair, msn 30586, TF-ISN, YYZ on January 11, 2018 by Bruce Drum. LATAM Airlines (Brazil) is adding seasonal Boeing 767-300 ER service to Las Vegas next summer (winter in the Southern Hemisphere). The carrier will operate three times a week from June 21 until August 31, 2018 according to Airline Route. 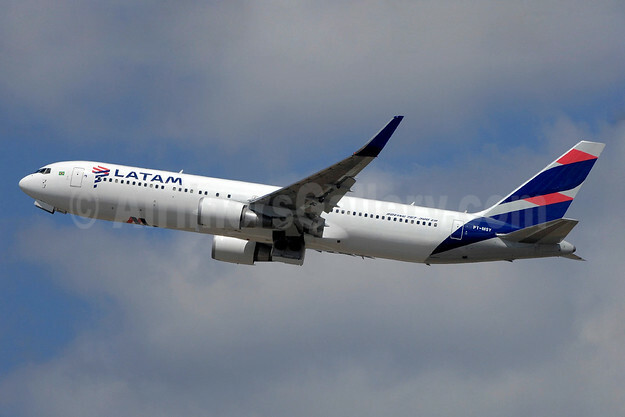 Copyright Photo: LATAM Airlines (Brazil) Boeing 767-316 ER WL PT-MSY (msn 42214) YYZ (TMK Photography). Image: 933943. This entry was posted in LATAM Airlines (Brazil) and tagged Boeing 767-316 ER WL, LATAM Airlines (Brazil), msn 42214, PT-MSY, YYZ on December 19, 2017 by Bruce Drum. The arrival of flight AC1942 at Lima’s Jorge Chávez International Airport on the morning of December 17, 2017 marked the successful launch Air Canada’s nonstop service between Montreal and Lima, Peru, Montreal’s first year-round link to the southern hemisphere. 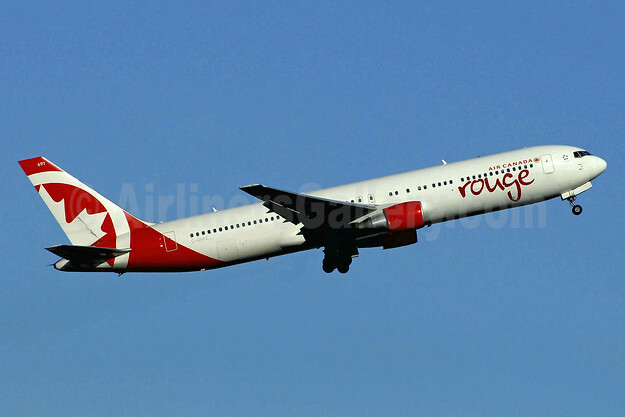 The twice weekly flights will be operated by Air Canada Rouge with 282-seat Boeing 767-300ER aircraft featuring Premium Rouge and Economy class service. This new route also leverages Montreal as a pivotal connection point for cargo. This new route will facilitate the flow of air freight between Lima and other key markets in Air Canada’s network, including Shanghai, Tokyo, Tel Aviv, London, Frankfurt, Paris, Brussels and other major trade points. The schedule provides for one of the best transit times available. In 2017 Air Canada started service to Shanghai (China), Marseille (France), Dallas/Ft. Worth (U.S.), Washington/Dulles (U.S.), Keflavik (Iceland), Tel-Aviv (Israel), Algiers (Algeria) and to Lima (Peru). Air Canada’s has announced eight new destinations from Montreal for 2018: Victoria (British Columbia), Tokyo–Narita (Japan), Phoenix, Pittsburgh and Baltimore (U.S.), Dublin (Ireland), Lisbon (Portugal) and Bucharest (Romania). With flights to 23 U.S. cities, the most of any airline, it has never been easier to connect in Montreal to Air Canada’s global network including Paris, Lyon, Geneva, Brussels and Casablanca. With the introduction of our new international services from Montreal to Europe, Asia and North Africa, international travelers are increasingly finding that connecting through Montreal on Air Canada is the most convenient way to fly to and from the U.S. on North America’s Best Airline as rated by Skytrax. Copyright Photo: Air Canada rouge (Air Canada) Boeing 767-33A ER C-GHPE (msn 33423) YYZ (TMK Photography). Image: 937710. This entry was posted in Air Canada, Air Canada rouge and tagged Air Canada, Air Canada rouge (Air Canada), Boeing 767-33A ER, C-GHPE, msn 33423, YYZ on December 18, 2017 by Bruce Drum. Air Canada’s inaugural flight, AC8834 from Yellowknife to Vancouver departed on the morning of December 16, 2017, marking the only nonstop service linking Canada’s spectacular Northwest Territories and Vancouver. The route’s daily seasonal service operates until April, and next year’s seasonal service from Vancouver will begin September 5, 2018. 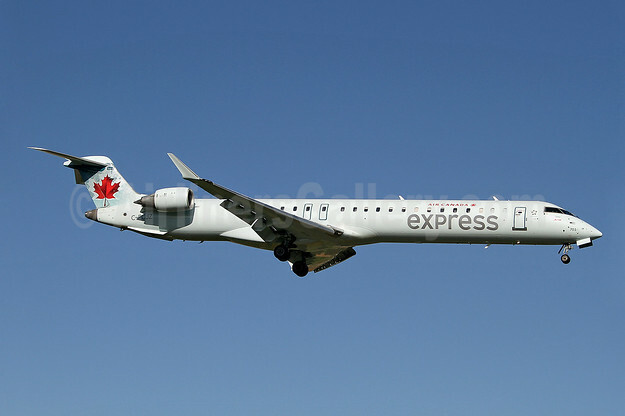 Air Canada’s Yellowknife–Vancouver nonstop services are offered onboard 76-seat Bombardier CRJ-705 jet aircraft featuring a choice of Business Class or Economy service operated by Jazz Aviation LP under the Air Canada Express banner. All flights offer wi-fi, Air Canada’s personal in-flight entertainment available at every seat, and provide for Aeroplan accumulation and redemption, Star Alliance reciprocal benefits and, for eligible customers, priority check-in, Maple Leaf Lounge access at the Vancouver hub, priority boarding and other benefits. Copyright Photo: Air Canada Express-Jazz Aviation Bombardier CRJ705 (CL-600-2D15) C-FCJZ (msn 15040) YYZ (Keith Burton). Image: 909814. This entry was posted in Air Canada, Air Canada Express and tagged Air Canada, Air Canada Express-Jazz Aviation, Bombardier CRJ705 (CL-600-2D15), C-FCJZ, msn 15040, YYZ on December 17, 2017 by Bruce Drum. 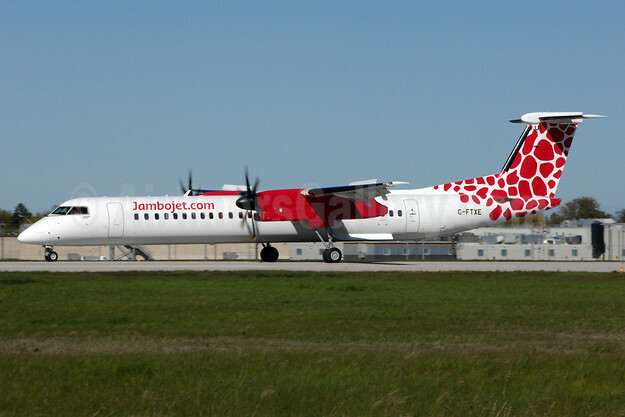 Nordic Aviation Capital has confirmed it has delivered two Bombardier Q400s to Jambojet. Jambojet, a low – cost airline, operates on domestic routes from Nairobi to Mombasa, Eldoret, Kisumu, Lamu, Malindi and Ukunda (Diani). Jambojet, a brand of Kenya Airways, is Kenya’s first low-cost airline. Operating from Jomo Kenyatta International Airport in Nairobi, Jambojet has set to revolutionize the way you travel by opening up the skies for all to fly for less. We aim to provide affordable air travel because flying really is for everyone. Top Copyright Photo (all others by Jambojet): Jambojet (Jambojet.com) Bombardier DHC-8-402 (Q400) C-FTXE (msn 4555) YYZ (TMK Photography). Image: 937813. This entry was posted in Jambojet and tagged Bombardier DHC-8-402 (Q400), C-FTXE, Jambojet (Jambojet.com), msn 4555, YYZ on December 14, 2017 by Bruce Drum. Icelandair is planning to drop the twice-weekly Keflavik – Birmingham (BHX) route on January 18, 2018 according to Airline Route. Icelandair is making adjustments to its network. The aircraft freed up will allow the carrier to add more potentially lucrative routes. Previously on November 3, 2017, Icelandair launched year-round service from Berlin-Tegel Airport (TXL), with flight FI529 departing at 1:05pm local time. Icelandair offers service to and from Iceland through Icelandair’s hub at Keflavik International Airport serving 20 destinations in North America and more than 25 destinations in Scandinavia, the U.K., and Continental Europe. Copyright Photo: Icelandair Boeing 757-223 WL TF-ISF (msn 24595) YYZ (TMK Photography). Image: 922898. This entry was posted in Icelandair and tagged Boeing 757-223 WL, Icelandair, msn 24595, TF-ISF, YYZ on December 8, 2017 by Bruce Drum. Passengers can choose from a wide range of ticket options. As part of our aim to create a customised offer at the best price, KLM and Air France are introducing new fares for flights between Europe and USA and/or Canada. As of December 7, 2017, we will offer our Economy Class customers 3 different ticket options. After selecting their preferred fare they can choose to add various extra services. The three new ticket options, named ‘Light’, ‘Standard’ and ‘Standard +’, have distinct features that will fit the needs of any Economy Class passenger between Europe and USA and/or Canada. Shown in one concise overview, customers can see which services and conditions come with each option, making it easy to compare. Creating a customised journeyWith the new ticket options, we can offer KLM and Air France passengers customised fares at the best price. After choosing a ticket option, customers can easily add various extra services.For example, they can select an extra comfortable seat type or order an à la carte meal – immediately when booking or later. Flying Blue Elite – and Elite Plus members keep the advantages of their tier level. They can always bring one extra piece of check-in baggage for free. So, when choosing the ‘Light’ fare, they may still check in one bag at no extra cost. With ‘Standard’ or ‘Standard +’, they can bring a piece of check-in baggage on top of the one included in these ticket options. 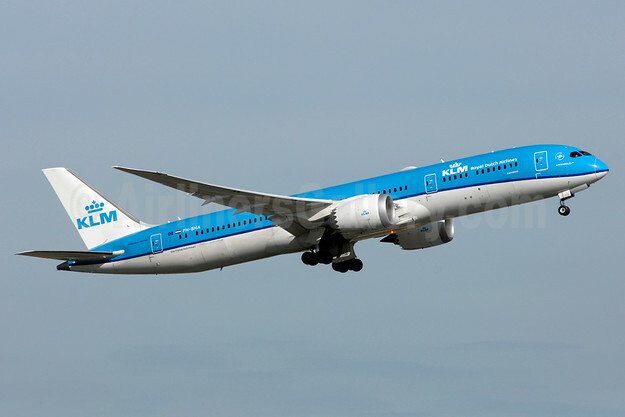 Copyright Photo: KLM Royal Dutch Airlines Boeing 787-9 Dreamliner PH-BHA (msn 36113) YYZ (TMK Photography). Image: 937278. This entry was posted in Air France, KLM Royal Dutch Airlines and tagged Air France, Boeing 787-9 Dreamliner, KLM, msn 36113, PH-BHA, YYZ on December 7, 2017 by Bruce Drum.